How to use a memo? Are you planning to start working memo's in your company? Download this professional memo template now! To whom it may concern... We provide a Professional Memo Template for Company Promotion template that will professionalize your way of working and communication towards your personnel or colleagues. For those individuals, who make the biggest impacts, have, what we call, a "high-performance mindset” and are often using professionally designed templates to achieve their goals faster! 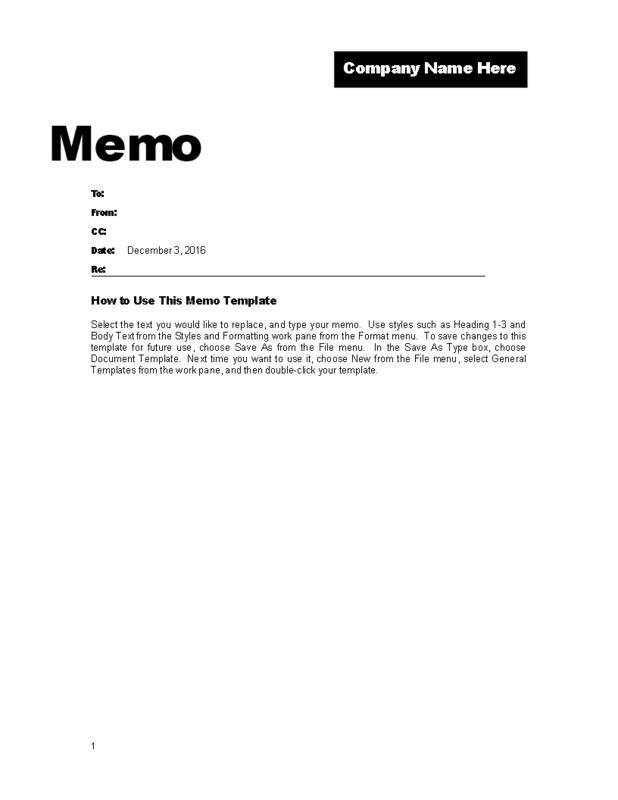 Using these memo templates will guarantee you, you will save time, cost and efforts! Try out our online business templates, forms, and contracts today. Save, fill-In the blanks, print …and done!